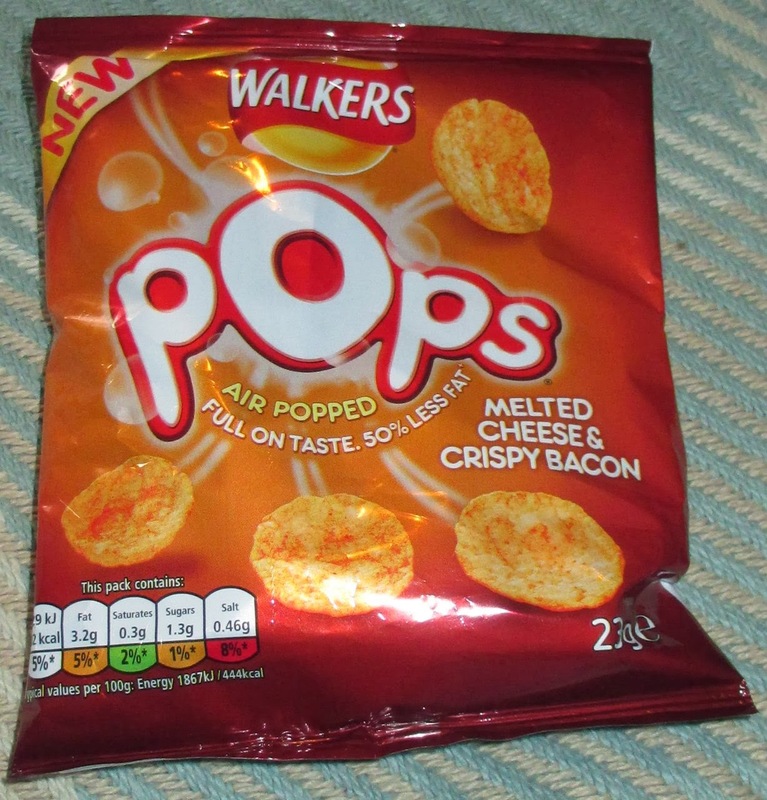 These are a newly launched product from Walkers, and are essentially crisps cooked a little differently. Instead of being fried they are popped, or pressure cooked to put it another way. This innovative cooking method means that they have less fat, and a clever texture. Although there are a number of flavours available, it was the Melted Cheese and Crispy Bacon that caught my eye first. I opened up the bag and poured out the contents to have with my sandwich. 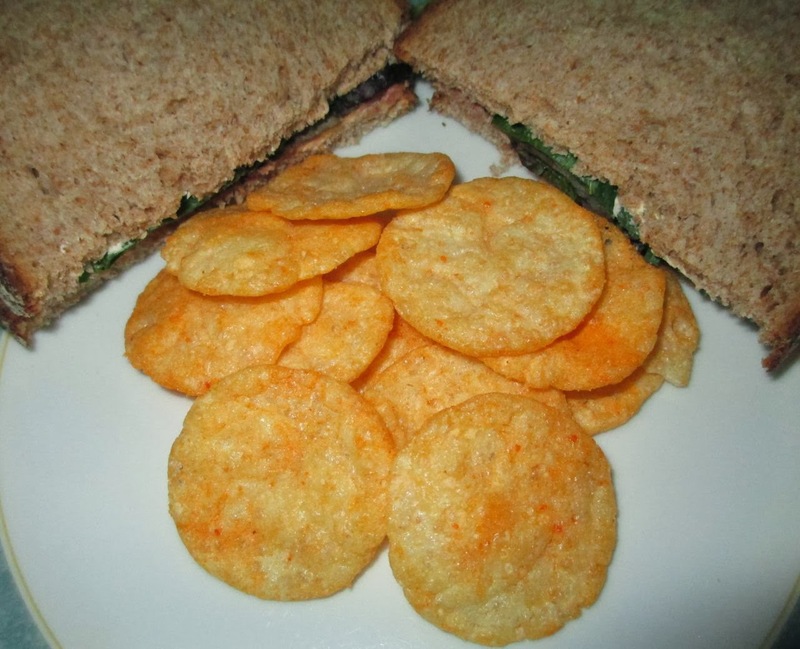 I liked the look of the crisps, they were quite thick, but I could see they were aerated. Once I munched on one I found the texture really enjoyable, they felt nice and crunchy, but also light and fluffy and rather moreish. They sort of melted in the mouth. I thought the flavour was good too, it actually started a little buttery, and reminded me of some of the jacket potato flavoured crisp I’ve tried in the past. The creamy flavour mellowed into more of a traditional cheese taste, although it was light and there was a background salty smoky meaty flavour from the bacon. The tastes weren’t strong, but they nice and did match the flavour.